Alan D. Valentine joined the Nashville Symphony as its President and CEO in June 1998. Since then, he has presided over an unprecedented period of growth at the Symphony, highlighted by recent GRAMMY® Awards for Best Classical Album and Best Orchestral Performance and eight GRAMMY® nominations; 20 highly regarded and best-selling CD releases on the Naxos and Decca labels; a total of eight national television broadcasts, one of which recently won an Emmy Award for Special Event Live; multiple national radio appearances, including the internationally syndicated radio series American Encores; a critically acclaimed Carnegie Hall debut and sold-out East Coast tour in September 2000; two consecutive and very successful endowment campaigns in which a total of $145 million was raised; and the construction of the world-class, acoustically superb Schermerhorn Symphony Center, which opened in September 2006. Valentine currently serves on the boards of the Center for Nonprofit Management and the Steering Committee for Nashville’s Agenda. He is a former member of the boards of the National Academy of Recording Arts and Sciences (Nashville Chapter), the Nashville Chamber of Commerce, the Nashville Arts Coalition, the Association of Non-Profit Executives and the Nashville City Club. In addition, he is a member of the Rotary Club of Nashville, a 2002 graduate of Leadership Nashville and a 2008 graduate of Leadership Music. Prior to his Nashville appointment, Valentine served for 10 years as executive director of the Oklahoma Philharmonic Society in Oklahoma City, Okla. In addition, he served on the adjunct faculty of Oklahoma City University, where he taught graduate-level arts administration courses. A graduate of the University of Houston, Valentine also served as the chief executive of the Mid-Columbia Symphony in Richland, Wash., the Greensboro (N.C.) Symphony and the Chattanooga Symphony and Opera Association, and he served for two years as orchestra manager of the San Antonio Symphony. During his career, Valentine has helped produce multiple national television broadcasts, many LPs and compact discs, and numerous local radio and television broadcasts. Other accomplishments include managing several successful endowment campaigns and playing a significant role in leading three orchestras into successful major concert hall renovations, prior to the Schermerhorn Symphony Center project in Nashville. A longtime member of the League of American Orchestras (LAO), Valentine has served at various times as chairman for Group II and Group III Managers and as a member of Policy Committee A, on which he currently serves. Since 1997, he has served on the Manager’s Media Committee, which negotiated the landmark Internet Agreement with the American Federation of Musicians and the new Symphonic Integrated Media Agreement. Roger Wright took up the post of Controller, BBC Radio 3 in November 1998 and, in October 2007, also became Director of the BBC Proms. He also co-ordinates the BBC’s classical music output across all BBC platforms. As Controller of BBC Radio 3, Roger is in charge of its editorial strategy, commissioning, and scheduling policies. He is also responsible for four of the BBC’s performing groups: the BBC Concert Orchestra, the BBC Philharmonic, the BBC Symphony Orchestra and the BBC Singers. The BBC Proms is one of the world’s greatest music festivals. Under Roger’s leadership, BBC Radio 3 has increased its commitment to live music both throughout the UK and internationally in addition to strengthening its support and encouragement of young artists. The station continues to be the world’s largest commissioner of new music, broadcasting works by a wide range of composers. Roger has also been the driving force behind composer-focused seasons such as The Beethoven Experience, A Bach Christmas, Webern Day, The Stravinsky/Tchaikovsky Experience and, most recently, The Genius of Mozart, in addition to The Ring in a Day, when the BBC Radio 3 schedule was cleared to broadcast Wagner’s entire 18-hour Ring cycle. In 2009, Radio 3 won the Sony Award for UK Station of the Year. The BBC Proms is one of the world’s leading music festivals, presenting international orchestras, choirs, conductors and soloists in a two month period over the summer with all the concerts broadcast live. The commitment to adventurous and broad ranging concert programming, which includes new music and commissions, continues to attract healthy audiences to the Royal Albert Hall. Under Roger’s direction, the festival has grown with an ambitious range of contextual programming around the music through daily “Proms Plus” talks and debates, and learning activity. He was educated at Chetham’s School of Music, Manchester, and later took a music degree at the University of London, where he also became President of the Students’ Union the year after graduation. After finishing his music degree he became Director of the British Music Information Centre, running the world’s largest collection of British contemporary music. Roger was Senior Producer of the BBC Symphony Orchestra prior to working as Artistic Administrator of the Cleveland Orchestra from 1989 to 1992. From 1992 he was Executive Producer and then Vice- President, Artists & Repertoire, at the classical recording company Deutsche Grammophon (DG), where he managed the artistic planning and production of all DG’s audio and visual output. He returned to the BBC as Head of BBC Classical Music from March 1997 and took on the post of Controller, BBC Radio 3 in 1998. Roger has been a member of the Music Advisory Panel and Recordings Panel of the Arts Council of Great Britain; the Music Panel of the Greater London Arts Association; Chairman of the Society for the Promotion of New Music; and Chairman of Contemporary Concerts Co-ordination. He has also edited books on new music for Oxford University Press. He is a Fellow of the Royal College of Music, a Fellow of the Radio Academy and an Honorary Fellow of Royal Holloway. In 2005 he received the Association of British Orchestras Award for his outstanding contribution to orchestral life in the UK. Guo Shan studied at the Middle School Affiliated to Central Conservatory of Music as well as the CCOM with Prof Pan Yiming, then higher education at the Yamaha Music Conversatory in Japan. She worked in the China Motion Picture Symphony Orchestra for over 20 years, involved in hundreds of TV series and films, touring often nationwide and abroad with the orchestra. She was the assistant to executive director of the orchestra since 1998, during which time she oversaw the Red Mansion Symphony China tour and won critical acclaim as well as financial surplus. In the early 90s she was involved in China Music Instrument Grading System as Deputy Secretary-General of CCOM Music Grading Committee. Since 2000 she was appointed Deputy Director of the China National Symphony Orchestra in charge of fundraising, programming and administration, also Adjunct Secretary-General of the CSDF. The CNSO toured Japan, Australia, Germany, Spain, Portugal, Netherlands, Thailand, Taiwan and Hong Kong. In 2004 she was elected President of China Symphony Development Foundation. Among her initiatives were Concert Commemorating the 60th Anniversary of the Anti-Japanese War, Red Ribbon Charity Concert devoted to anti-HIV campaign in 2006, Charity Concert Devoted to the Sichuan Earthquake Zone For Mothers and Sons in 2008, Youth Soloist (Concerto) Music Competition, Austria Music Tour, Mozart China Piano and Violin Competition for Teens and Youth Symphony Orchestra Summer Camp in 2007. The charity concert fundraised for earthquake victims over 40 million RMB. She also founded the League of CSDF consisting of 44 orchestra members. She was elected President of the Alliance of Asia & Pacific Region Orchestras (AAPRO）end of 2008 during its sixth Summit. In 2009 she presented Straits Peace Orchestra with a Taiwan partner. The orchestra toured in Beijing, Shanghai, Shenzhen, Taipei and Kaohsiung, won generous praise from leaders including Jia Qinglin, Ma Ying-jeou and Lien Chan who were all present at concerts. The orchestra, under its new title Straits Philharmonic Orchestra, embarked on its second voyage to Taipei and Taichung in 2009 sponsored by VIA Group. At the invitation of the United Nations and initiated by Guo, AAPRO together with the Permanent Mission of China to the United Nations formed the Asia-Pacific United Orchestra and presented a gala concert at the UN Headquarters General Assembly Hall to inaugurate the UN Academic Impact on November 19 2010 participated by leading musicians and soloists. This historic moment was witnessed and welcomed by H.E Dr. Asha-Rose Migiro, Deputy Secretary-General of the United Nations, together with many a distinguished audience. Double bassist Bruce Ridge has been a member of the North Carolina Symphony since 1987. He began his professional career when he joined the Virginia Symphony at the age of 15. Ridge later studied at the Curtis Institute of Music and the New England Conservatory of Music where he graduated with Distinction in Performance honors. Currently Chairman of the International Conference of Symphony and Opera Musicians (ICSOM), Bruce is well-known as an advocate for musicians and the arts. Believed to be just the second musician in an American orchestra to chair a Music Director Search, Ridge led the committee that brought Grant Llewellyn to the North Carolina Symphony. As chairman of ICSOM, Ridge has been an international leader on issues affecting arts organizations and has met with countless orchestras across America, literally from San Juan to Honolulu. He has served as a faculty member for many sessions of the League of American Orchestras’ “Orchestra Leadership Academy” as well as on the faculty for the League’s music director search seminars. He has appeared as a guest speaker on the history of symphony orchestras in America at The Colburn School of Music in Los Angeles and Roosevelt University in Chicago. 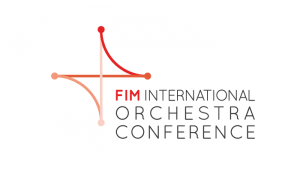 In 2008, Ridge was invited by the International Federation of Musicians to address the first International Orchestra Conference in Berlin, Germany. In March of 2009, he was invited to testify before Congress during a hearing on the Economic and Employment Impact of the Arts and Music Industry (testimony viewable on YouTube. Ridge’s many articles on orchestral music and arts advocacy can be found in ICSOM’s newsletter Senza Sordino on the ICSOM website at www.icsom.org. His speeches and articles have been published in numerous countries, and he has been quoted in newspapers across the United States, as well as in the American Foreign Press.